PKI 5800 is equipped with a high-resolution camera connected to an IR-hybrid illuminator for night vision. This handheld device with integrated directional microphone allows observation at day and night up to 200 m distance at the highest possible resolution. 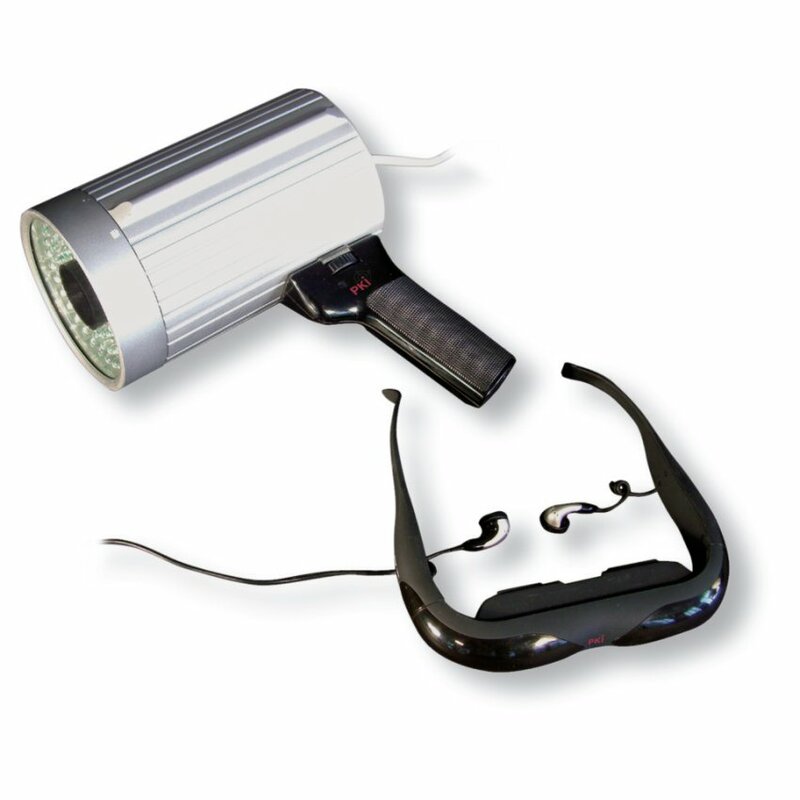 Several ways of processing of the audio/video signals are possible, such as immediate recording, wired transmission to our A/V goggles or wireless transmission to further external devices. All kind of monitors are connectable. This outstanding combination enables every policeman to survey and control the relevant situation. Due to security reasons PKI 5800 should be available at every surveillance operation of customs, police or border patrols. Various: Reception by various persons (according to number of AV-goggles) is possible by using the wireless version.